I drove by an orchard last summer in Montana… There was no sign designating what kind of orchard it was… Looked like an orchard of sweet cherries though (beautiful Bing cherries it appeared to me)… We stopped by the little stand and bought several pounds… got back in the car and decided to sample them… They tasted exactly like I expected! 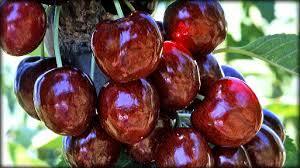 They were NOT apples… or oranges… not pears… or grapes… or pomegranates… They were Flathead Valley Bing cherries!! Didn’t need a sign out in front of the orchard to determine it either. They guy in the stand didn’t even need to tell me! I didn’t have to decide by a logo or a “bulletin/program” … the flavor and characteristics of the fruit were enough for me! Here’s all I got to say… Help me Lord to “bear GOOD fruit! If I’m going to claim being “Spirit-filled” I want to look like it, act like, talk like it, and live like it!! !